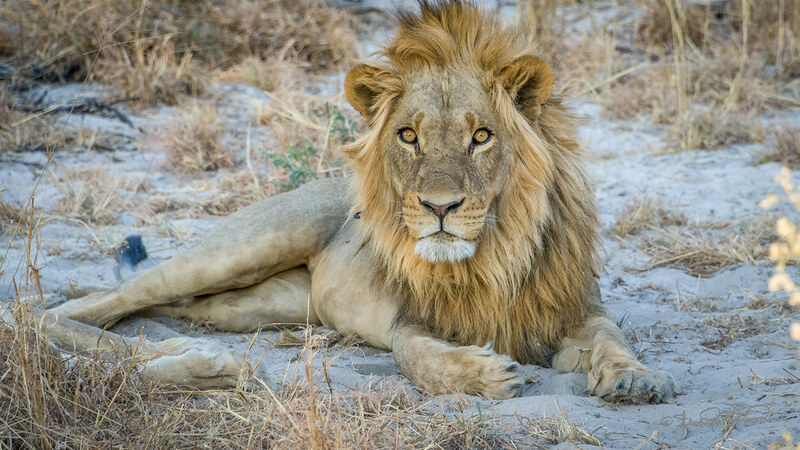 OAT trip to Botswana, Zambia, Zimbabwe and South Africa. We arrived here a day before our OAT tour began and arranged for a private tour of Soweto which included Kliptown as well. Our impression was that Johannesburg is a place to avoid because of crime and environmental problems. 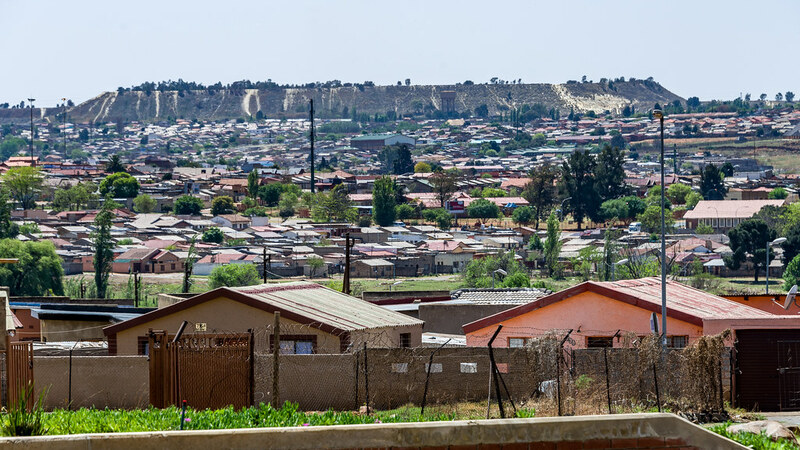 As a former mining camp, the city is dotted with mine tailing berms which contain toxic byproducts of the mining process. Just west of Kasane and Kazungula, Chobe National Park is very accessible by plane, although we arrived overland from Victoria Falls. The park limits the number of visitors and routes to avoid a zoo-like situation around the animals. Guides use walkie-talkies to communicate wildlife sightings, and often there are many vehicles vying for the best views. 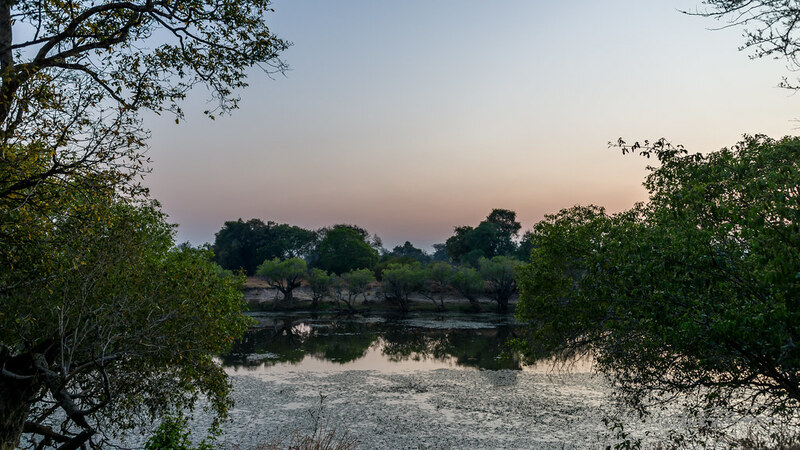 The Okavango River flows southwest into a land-locked basin and spreads into a huge delta which consumes all the water by absorption in plants and evaporation. The delta has myriad waterways teeming with wildlife which have traveled here for water during the dry season. After a two game drives and two flights, we arrived in Musanza Tented Camp on the banks of the Lufupa River within Kafue National Park. Another long transfer to get to Makalolo Tented Camp, but it was worth the wait. 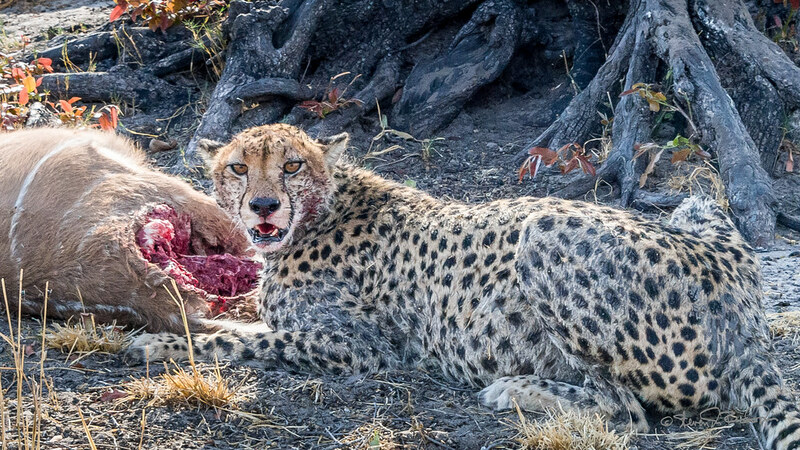 We saw a cheetah feasting on its kill on the way into the park. The city of Victoria Falls is a tourist town supporting the thousands of visitors arriving by plane. 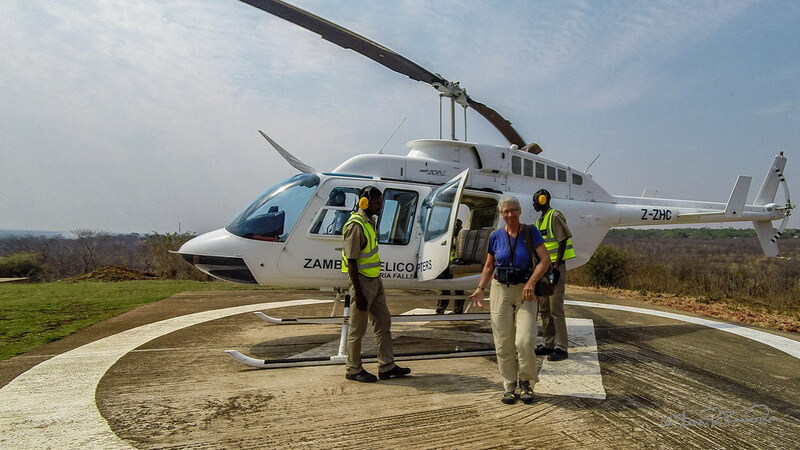 There are golf courses, Zambizi River cruises, helicopter rides, and souvenir shops. We went to Capetown after our OAT tour. We'd heard about the beautiful setting and the fine wineries nearby so we thought we'd take a look for ourselves. Descriptions based on OAT itinerary. Copyright © 2019 travelShot. All Rights Reserved. Designed by JoomlArt.com. Joomla! is Free Software released under the GNU General Public License.